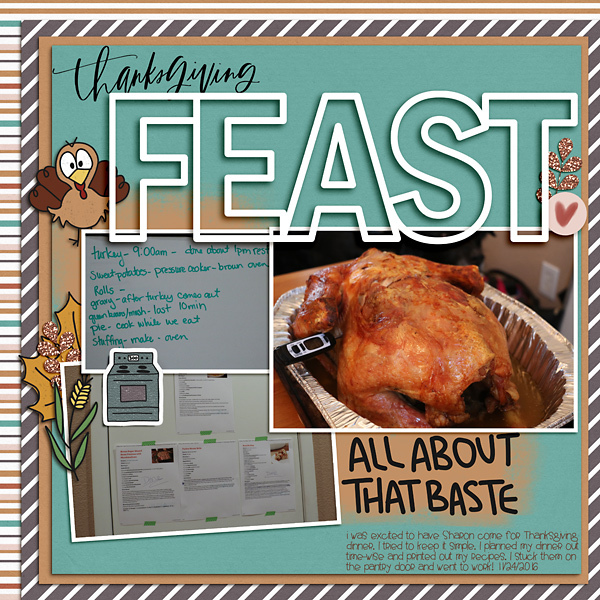 Here are nine cut-outs for digital scrapbooking. 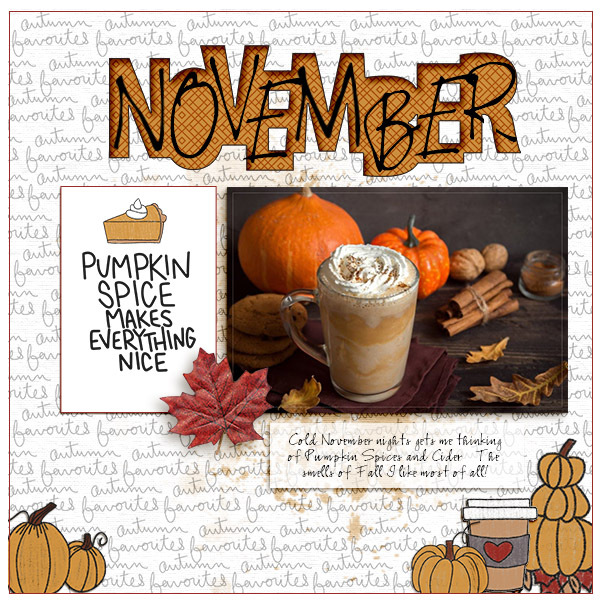 These are themed around the month of November/Thanksgiving and include the following words in a mix of block and script styles: turkey, thankful (inside wreath), gather gather gather, THANKSGIVING, FEAST, NOVEMBER, 2018 NOVEMBER (not shown in preview), BLESSINGS BLESSINGS BLESSINGS, PIE PIE PIE. 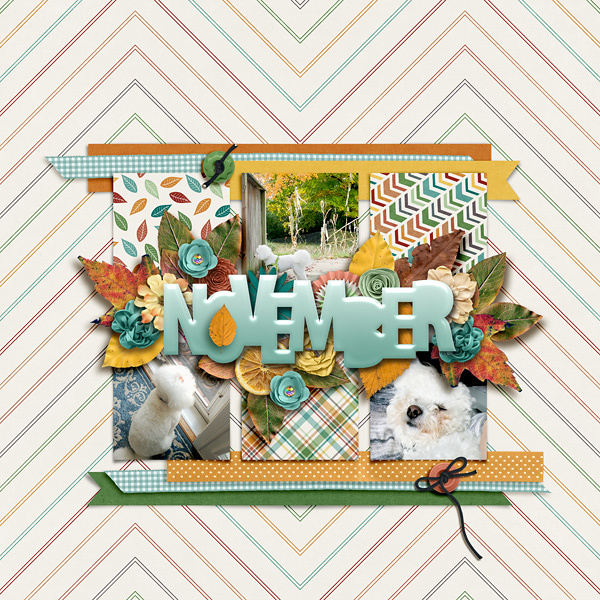 These designs coordinate with the November 2018 BYOC.